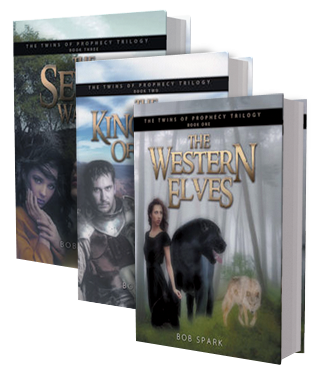 In this first book of the Twins of Prophecy trilogy, we observe the twins' birth and their growing into adulthood in the Western Kingdom of the Elves. Chem and Ema are very different in their gifts and personalities; this will be a major theme of the entire trilogy. Some people's gifts are outward and very prominent, but others are hidden and obscure, yet the less prominent person can often be of greater importance. Chem is a very gifted leader and warrior, but Ema is shy, mute, and not a warrior, yet the entire story is focused upon her ultimate and immense importance. We are also introduced to many of the other important characters as the developing scenario of danger and struggle is clearly painted throughout these formative years of the twins. Though there is less action in this first book, in many ways, the descriptive detail and the character interactions are so interesting and memorable that they thrill the reader while building that intense anticipation for what is to come. 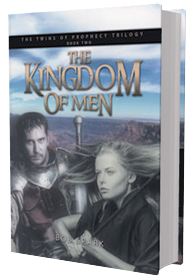 Amid much danger, and in obedience to prophecy, the young, mute elf girl, Ema, is taken eastward by her companions to the greatly troubled Kingdom of Men. Along the way, they are hunted by many, including the most evil and dangerous of all, Seleicidor, a Nethelim giant of unbelievable strength and destruction. Many great exploits are done and amidst them all, the true greatness of Commander Lance begins to shine. Indeed, during the battles in the Kingdom of Men, Lance surpasses the achievement of any other man in single combat, even amongst the elders. Of such note is this mortal elf that even the composure and desires of the legendary elder Queen Jasha are greatly affected by Lance who, though a mortal, is perhaps the greatest leader and warrior to have ever lived. Through her favor with the Elder-Beasts, Ema also achieves great things and her destiny, while quite different, is no less than that of Lance, and both of these mortals will eventually marry legendary and ruling elders, a thing virtually never heard of before. With the battles in the Kingdom of Men finally over and the evil Lord Biron defeated, the real war against the elves now begins. 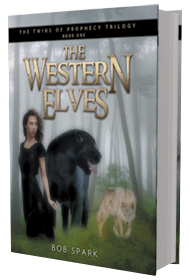 Ema and her companions must rush to the defense of the Western Kingdom of the Elves. Again, during these long wars, many achieve great exploits, but sadly, some of the twins' close companions will now actually die in battle. For the first time, the reader empathizes with the deaths of some of the people whom we met and companioned with since the time of the twins' birth. Some die a glorious and greatly honored death in battle, but others will die through their own faults. Even so, in both situations, there is terrible sadness and much to be learned. 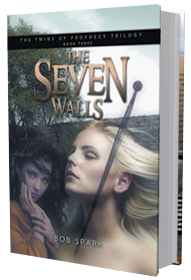 Finally, the elves and their allies are forced right back to the defense of the Seven Walls, the last great stand of the elves. Here in the terrible culmination of this final battle, the thoughts of many are tested, and some that were good turn to evil and some that were evil turn to good. But despite all of this, in the end, all hope fails and it is only Ema, the young, mute elf girl, who can save them in a way that no one ever expected. 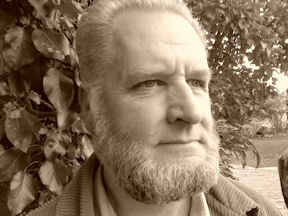 Bob Spark was born in Melbourne, Australia, in 1954. He was raised in the Anglican Church but rebelled during his teen years. He did not truly come to follow Jesus Christ until his early twenties. It was always his desire to write, so beginning in the 80s, and over the next twenty years, Bob began to create, shape, and build the history, characters, and storyline of the Twins of Prophecy. The tale grew and the characters became so real that even though he had created them, he also laughed and wept with them. It was his desire to write a story that was not overtly Christian, yet was a novel of grandeur, of deep struggle, and of great moral excellence. Time alone will tell if he has even just begun to achieve such noble aspirations. Bob now lives alone in a small country town north of Melbourne. He enjoys keeping fit, running, biking, and walking regularly. In addition to improving the old property he lives on, Bob chiefly spends his time studying, writing, and discussing biblical theology. Bob has two adult children, David and Anna, who both live in New Zealand.